Gatsby and Daisy are the loves of my life and both love peanut butter. On this special holiday it warms my heart to bake them homemade biscuits for a yummy treat. Preheat oven to 350 degrees Fahrenheit. In a food processor or large bowl, mix oat flour and cinnamon. 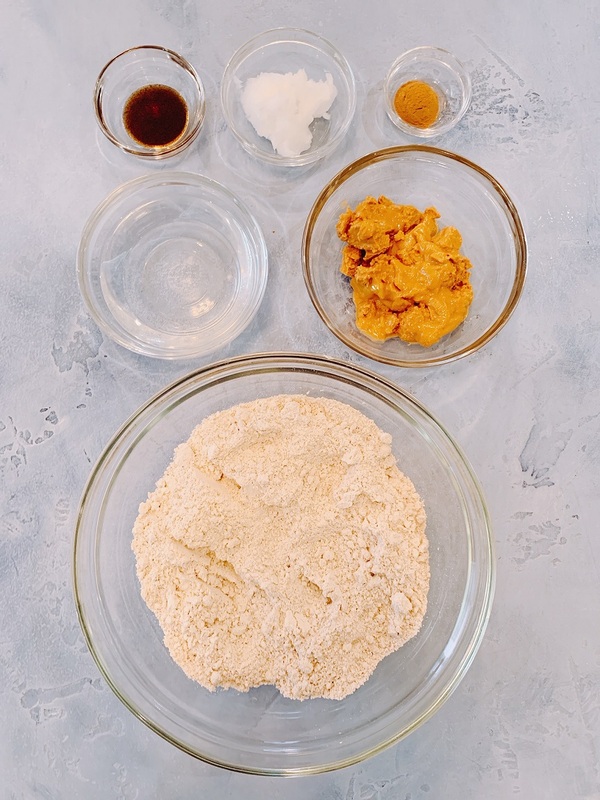 In a medium bowl, mix peanut butter, vanilla, water and coconut oil. Add the wet ingredients to the flour mixture and mix until smooth. Add extra water if needed. Form dough into a ball and cover with plastic wrap in the fridge to set for 30 minutes. Line two baking sheets with parchment paper (or use a silk pad). 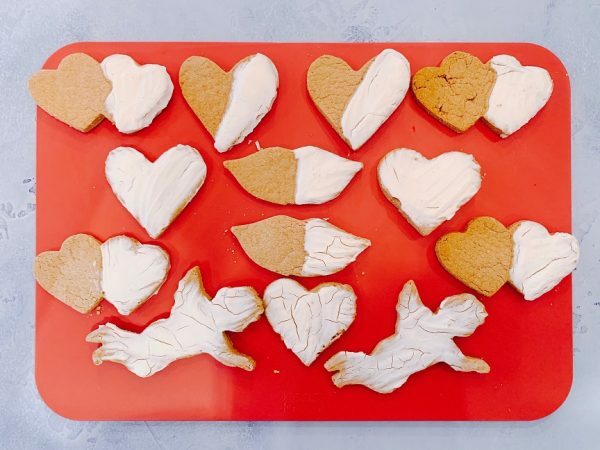 Carefully roll out the dough and cut it into your favorite Valentine’s Day shapes. 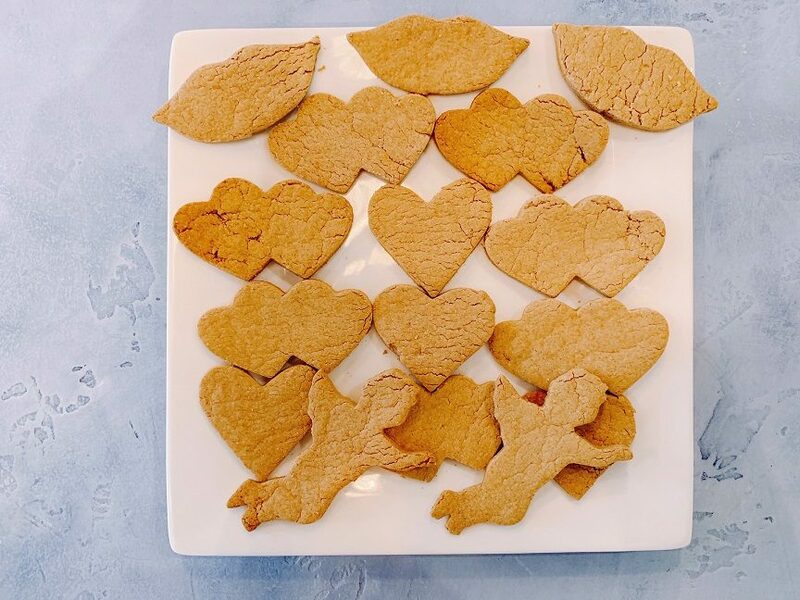 Place cookies on the baking sheets. Bake at 350 for approximately 30 minutes. Cool before giving the treats to your dog. Store these treats in a sealed container for up to a week. Mix the honey into yogurt. Either dip the biscuits in the yogurt and use a spoon to smooth over. You can also use a pastry brush as you would a real cookie. Let the yogurt topping dry before storing and serving to your pup. Thank you for sharing, Dawn & I love your tips and we will be making a batch for Hunter. Great! Thank you, Bob! 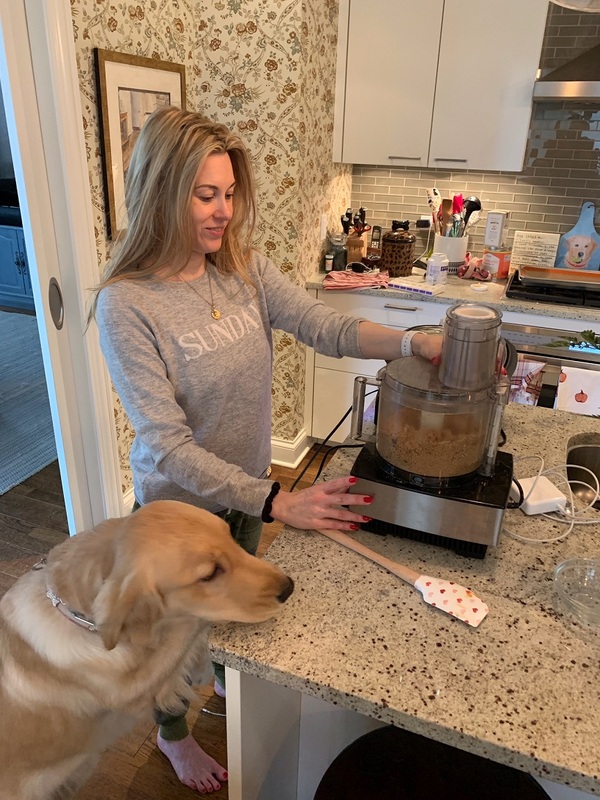 Hunter is going to like the cookies – my dogs love them!